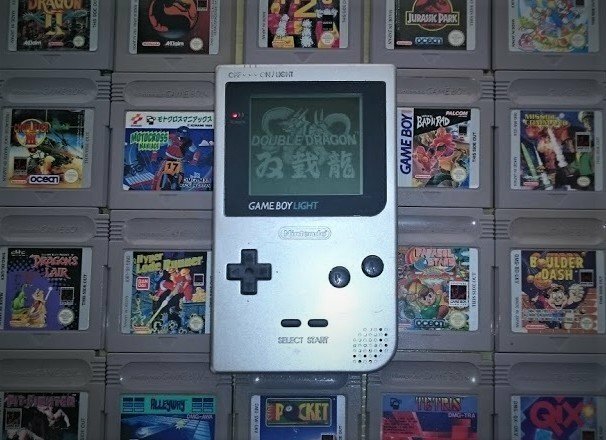 I recently rediscovering Nintendo’s first iconic handheld when I purchased the Japanese only released variant the Game Boy Light. Yes it has a backlight built in and yes that helps a lot. Taking a trip down nostalgia lane I started working my way through some of its enormous library. Despite being a game that looks very basic on first view, Solar Striker is a perfectly crafted vertical space shooter which makes good use of Game Boy’s graphical limitations. The games developers Minakuchi Engineering opted for using a clear white background, so The sprites and bullets are always easy to see even when many enemies are on screen. An amazingly catchy soundtrack interlaces each level which really adds to the games charm. The action gets deceptively harder as you progress through the game but the Simple mechanics and solid controls gameplay ensure that the experience is enjoyable throughout. Solar Striker is a real gem that shouldn’t be passed on. Developed by the excellent Rare and published by Titus, Monster Max is an isometric adventure game similar to ZX Spectrum classics like Knightlore and Head Over Heels.The visual style of the game is very unique as are many other features, cut between screens are TV monitor style interference effects, sprites are smoothly animated and level layouts are very detailed but easy to view. The soundtrack is superbly composed and varies across the different levels. Even in the opening training levels you are presented with brain teasing puzzles that require various items and power-ups to overcome. These can involve changing your boots to spring over obstacles, using mines to block up blocks and enemies and a duck that allows you to err duck. Easy right? nooo this game is very deep and challenging if you are willing to put the time in. Probably the most unique game found on this list and one of the hardest to find gems for the system.